Workers' Comp Insurance in Sterling Heights, MI - The Law Offices of Charters, Tyler, Zack & Shearer, P. C.
We spend much of our life at work so it’s important we should feel safe there. 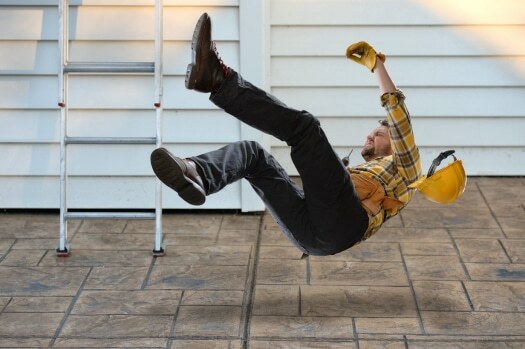 For our health and safety, as well as the financial health and safety of ourselves and our family, we need to be sure that if injured on the job, we can still pay our bills. Unfortunately, because we do spend so much time at our jobs, our likelihood of getting injured there is high. But at least we can feel some measure of security, that if we get hurt on the job, Workers’ Compensation will cover us. It might not be easy though. No employer wants to think they have caused injury or damage to one of their employees. Some jobs carry a higher level of risk – for example, if your job involves a lot of heavy lifting, the chances are much higher you will do some back or joint damage than it would if you worked in an office. Other professions, like electricians, plumbing, and farming, carry risks involving machinery, weather-related, or even animal-inflicted injuries. Whatever your job is, you have the right to go to work each day safe in the knowledge that if you suffer a work-related injury, your costs are covered. If you are injured on the job, let your employer know immediately what happened and how. Make sure you get evidence from your doctor that proves how you were hurt and what limits this places on your ability to work. The last thing you want is to be off work for a week or more, only to find that there is no way of proving your injuries were severe enough to justify your absence. After talking to your doctor and employer, your next phone call should be to us. We will help make sure you have all the evidence necessary to make a workers’ comp insurance claim. Don’t get bogged down in paperwork – we will do this for you, so you can concentrate on your recovery. Let us put our experience to work for you. Call The Law Offices of Charters, Tyler, Zack & Shearer, P. C. today.